Two weekends ago was the New Jersey Pet Expo and I attended for the second time. Last year, I had just adopted Pebbles (read all about her story here) the week before, so I stocked up on some goodies for her. 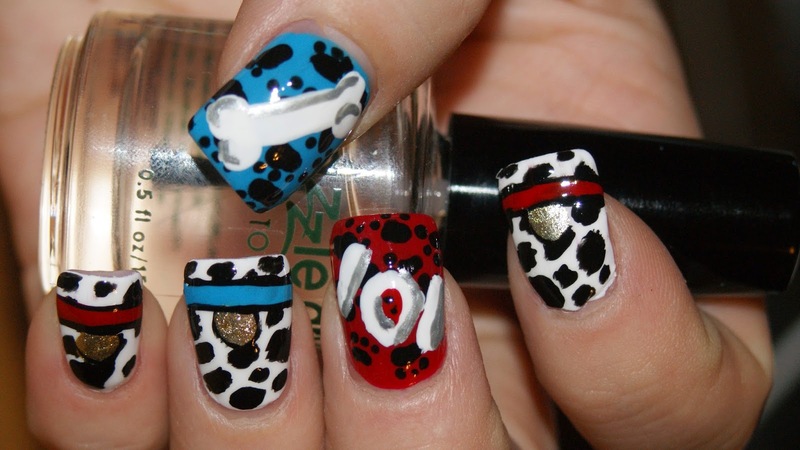 So in honor of Pet Expo, I did a little 101 Dalmatians nail art! I used Revlon Gold Coin, Milani Spotlight White, Zoya Breezi, Zoya Rehka, and Zoya Raven to make this nail art, along with gray striping paint. This was extremely labor-intensive, but I'm happy with how it came out. What do you think? I love this!! It is way too cute!